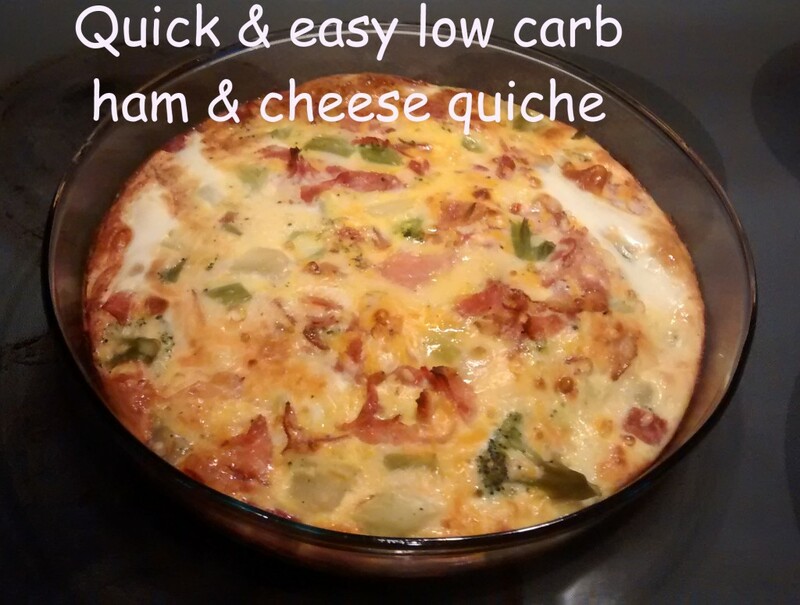 Looking for another dinner option for a low-carb eating plan such as the Dukan Diet? This super easy crustless quiche recipe takes only a few minutes to make and doesn’t call for any unusual ingredients. You can pick up some Velveeta shreds at your local Walmart Super Center, or use another low-fat shredded cheese instead. Break the eggs into a mixing bowl and beat lightly. Spray a glass pie plate with oil cooking spray and add the mixture. Bake for 40 minutes or until firm enough to cut with a knife and slightly brown on top. Cut into wedges like a pie to serve. This recipe tastes great with a little hot sauce, and you can warm up leftovers for lunch the next day. It’s a great way to use up deli meat or leftover ham from holiday dinners.